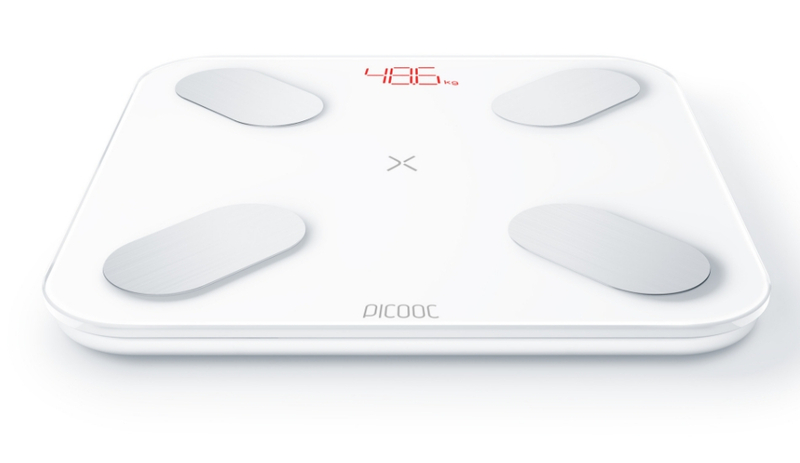 Picooc has today announced the launch of a new digital smart weighing scale in India. Dubbed as Picooc Mini, the smart scale is priced at Rs 2,999 and it will be from Flipkart starting from today. The smart scale comes loaded with a host of interesting features. To start with, users can measure their weight along with 12 additional body vitals including BMI, Body Fat, Muscle Mass, Protein, Bone Mass, Metabolic Age, Visceral Fat Index, BMR, Body Water, Body Type, Skeletal Mass and body girth. There is a red bright LED display that shows the weight. The smart scale also offers unique body score that is calculated using the above-mentioned body vitals. The company claims that it can provide all the information in three seconds. The device uses Bioelectrical Impedance Analysis (BIA) technology with a metal-less ITO layer that increases the sensitivity, making it easier to record the tiniest change that occurs in one’s body. The device can be connected to a smartphone via Bluetooth and one can keep a track of the data through Picooc Mobile application, which is available on both Google Play Store and Apple App Store. The app also provides personalized suggestions using the big data core algorithm technology and shares the user’s body score with their friends and family to encourage them in attaining their fitness goals. The device uses three AAA 1.5V batteries, which can last up to 12 months. The surface is made of strengthened glass, which is polished in white or black.